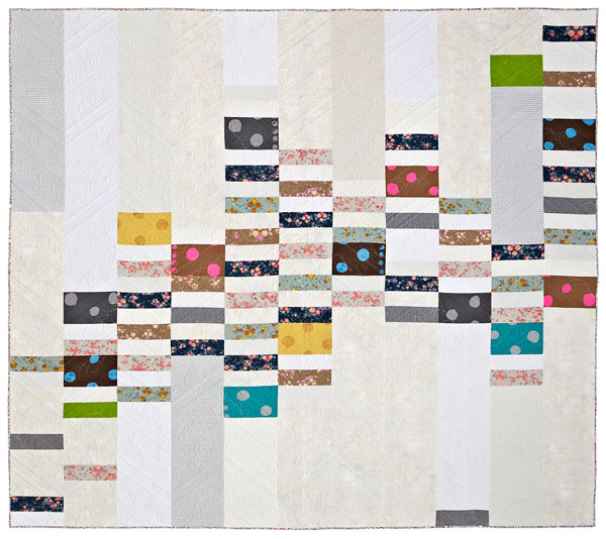 When I saw Victoria Findley Wolfe’s blog post about her quilt, Quilter’s Cairns–it’s in the February issue of APQ–I immediately saw how you could do something very similar, starting with a stack of scrappy Stripes blocks. I saw that too. Very timely.